Most women know the importance of getting enough iron once they are pregnant, but did you know that failing to get enough iron before conception can keep you from getting pregnant? Researchers from India have found that “women who do not get sufficient amounts of iron may suffer anovulation (lack of ovulation) and possibly poor egg health, which can inhibit fertility at a rate 60% higher than those with sufficient iron stores in their blood.” Their complete 2014 report in the International Journal of Current Research and Academic Review is shared in the references below. When the blood does not get enough iron, anemia, or an insufficient number of red blood cells, may develop. Since it is these red blood cells that deliver oxygen to all of the body’s tissue and organs including the ovaries and uterus, this deficiency may cause the eggs stored in the ovaries to weaken over time and become unviable. Worse yet, should conception occur, anemia makes it impossible for the growing fetus’ cells to divide and grow properly. This may result in a miscarriage in some cases. When suspecting an iron deficiency or even anemia, most doctors will perform a simple blood test called a CBC to check hemoglobin (red blood cell) levels. If an iron deficiency is found, the patient may be instructed to increase her intake of iron rich foods and take a supplement to ward off the health and fertility effects of low iron. If you do find out that you have low levels of iron, bringing your levels back up to a healthy level is simple. Increasing the iron in your diet can make all the difference (eating beets, spinach, beans, animal meats, pumpkin seeds, molasses, asparagus). Make sure to also include foods that help the absorption of iron like oranges, strawberries, broccoli, tomatoes and green peppers. In addition to eating a diet rich in iron, taking a whole food iron supplement makes a huge difference. One of the best iron supplements available for women finding it difficult to get pregnant and have low iron levels is Blood Builder a 100% whole food iron, with synergistic nutrients and organic beet root to help strengthen and purify the blood. Designed to help the body maintain a healthy level of iron, it is easy to tolerate with a non-binding formula (this means no constipation and no toxic accumulation of iron on the body) that is easy on the stomach. Another important factor when looking at using an iron supplement is to make sure that it includes synergistic nutrients that are necessary for iron absorption and utilization. These nutrients are B12, Folate (folic acid) and vitamin C. Blood Builder includes all of these important nutrients in a whole food state. You will want to ask your doctor this questions and perhaps working in ensuring your iron levels are adequate prior to. As this guide shares, there are ways to naturally support healthy iron levels. The test for iron levels alone should be sufficient. If you wanted to know of other nutrient deficiencies then it would be better to have nutritional profile testing (a complete panel). Hello,I have chronic Iron deficiency anemia, MCV & MCH are low, Vitamine D deficiency, and I also have acquired TBI. I recently found out that I am pregnant. Will my condition affect my pregnancy or my health in any major way? I am scared that I won’t have any energy by the end of the pregnancy and that I won’t be able to breastfeed. I am also scared that the baby will not be healthy or will have development problems. I do take FeraMax and vitamine D & C but I feel so tired and my body hurts all the time regardless now that I am pregnant I am bed ridden. There is a degree of tiredness and some aches that naturally come with pregnancy, particularly early and then toward the end. It is great that you are on supplements to help and now is the time to talk to your healthcare or midwife about your concerns/feelings/pregnancy symptoms so they can help either ease your worries, check these nutrient levels again to ensure you’re taking what the body needs now in pregnancy and/or help you create the best pregnancy program to set you up for great success now and for breastfeeding. Hi. I had a D&C at 9 weeks due to no heartbeat and this was 3 months ago. at the tail end of my 2nd menses since then, I had a dizzy spell and GP said I’m slightly anemia and prescribed me iron pills and stemetil. One week later, I’m still feeling slightly dizzy (unbalanced), fatigue and diarrhoea. is this normal? I can not know if this is normal for you. It truly would be best to reach back out to your doctor or his nurse to let them know what you are feeling (especially given you are on medications). Remember too that your body is going through a lot and working hard to find balance right now. This is tasking. Perhaps the tips in our guide After Miscarriage: 5 Steps To Recovery would be helpful too (we can not suggest taking herbs with medications without your doctors approval). Hi i am 21 now and i have a very chronic iron defficiency anemia since i was 15 and my HB can go as low as 3.2 at times. I took supplements and blood transfusions but still it seems like its not enough for me. Currently im on a every 2 weeks cycle for IV venofer. Is there by any chance that i will get better? I’m sorry to hear of such a challenge! Have you had your vitamin B12 levels tested? The body needs not only iron, but also vitamin B-12, folate and other nutrients from the foods you eat to produce hemoglobin and red blood cells. Do you know why this is happening for you? I am not a medical doctor who can help you know if it will get better, but knowing why this is happening is going to be very helpful as you keep moving forward and try to heal. I was unknowingly so iron deficient that I landed in the hospital with low hemoglobin, almost to organ failure levels, and needed three blood transfusions just to get my hemoglobin back to an 8! Me and hubby were never trying to get pregnant, but never tried NOT to get pregnant either.Now six months and four iron infusions later, I’m 5 weeks pregnant! So yes, it is definitely possible to get pregnant while severely iron deficient. You need to see a hematologist, not your PCP. I am very sorry to hear of what you went through, but how WONDERFUL to hear of your news! Congratulations on your pregnancy! Thank you also for sharing your story. We truly know many reply on them for hope! I was so happy to read this!! 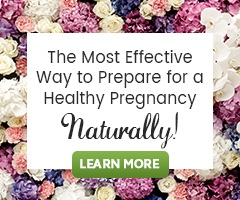 I could not figure out why my boyfriend & I were not getting pregnant, not trying, but also not preventing! Just found out I am extremely anemic, I feel absolutely awful every single day. Unfortunately, it is difficult to find a hematologist when your on Medicaid (or maybe this is just in Indiana). Either way, I’m hoping I have the luck you did! Only 27..no kids…and heartbroken that I may never get to have one. Congrats to you! Here’s my question: now that I’m taking the blood builder and several other iron-rich supplements, is it possible to rejuvenate unviable eggs or are these eggs forever ruined due to iron defiency? The great part is that iron levels are easily influenced by diet and supplementation. No need to be heartbroken! There is hope! Be sure to be eating iron rich foods and supplementing if you need more iron. I had an issue with iron. It was so low to where I left like I was passing out or sleeping long periods of time. I had a few iron infusions and kept taking my supplements after that, and I have been fine ever since. 🙂 There’s hope. This is so great to hear! Thank you for sharing your story to offer Becky hope. Update 2014 – We are back! We have been away for a while and we sure have missed all of your wonderful questions and thoughts on our articles. I apologize for not being able to reply to all past comments. Moving forward, one of our staff herbalists will be here to respond to comments! We look forward to connecting with our readers once again! Infertility is not just from low iron…it can also be from iron OVERLOAD. This affects women more than drs realize. Testing the CBC’s and hemoglobin is NOT enough to diagnose iron deficiency. Anemia does NOT mean you are iron deficient. The only way to test for iron deficiency is to test all the CBC’s as well as a FULL iron panel, including ferritin, TIBC, TSAT %, and serum iron. 1 in 8 people of European descent have a gene that causes iron overload, and 1 in 200 have two genes. It is an inherited condition. This article is correct only on one side of things without addressing the very real and very dangerous other side. Iron overload, called Hemochromatosis, is the most common genetic disorder among Caucasian people. If you have been told you are anemic, hypothyroid, or iron deficient, make sure that you get a thorough blood panel run. CBC’s ARE NOT ENOUGH! And excess iron loads onto adrenals and thyroid glands and causes hypothyroidism and infertility. I know as I a speak from experience. There is ALWAYS a reason a person is anemic, and the dr needs to find out why, and if it is truly IRON DEFICIENCY anemia. Other symptoms include heart trouble, liver damage, diabetes, and neurological issues among many others. But I needed to speak up and say something about this one-sided perspective and PLEASE do not take iron supplements unless 100% certain through ALL the testing that you are iron deficient. If you are European descent, have symptoms of arthritis, chronic fatigue (diagnosed with Fibromyalgia or Chronic Fatigue Syndrome), diabetes, heart palpitations or irregular heartbeat, depression, mood swings, hypothyroid, irregular periods or cessation of periods, or have family history of any of these issues as well as liver cancer or congestive heart failure or liver disease with or without alcohol, PLEASE get checked for iron overload. It is the most common genetic disorder most commonly misdiagnosed or undiagnosed in Canada and the States. My period ran to the extent that my blood flowed light as mixed with water. At a time, i started to have swollen leg and face. I ran to the doctor and he told me that i was anaemic. Then i was given two pynt of blood and had supported it with eating liver, unripped plantain with vegetales n fruits hoping that i will be fine. T my suprise that my blood level has gone back to 4%.I have been wondering. when i went 4 endoscopic, the doctor told me that he found some bacteria and he gave me the medications which am still on it, again he has asked me to come back for cholesterol or whatever. What marvels me is that i am atleast strong and healthy to complain. Yes i have always have heavy flow but never expected this. Am married and because of it, i have to wait for my body to build up. I have spent much and wish not to spend again. I want to get pregnant because i believe God i am fertile. Hope making love with my husband while on medication is not a risk? Hi, please tell me someone has fallen pregnant when being anemic? I have been diagnosed with anemia, with a blood transfusion done in 2008 and am trying to get pregnant. I have been on & off of bc pills for 4 years but taking iron pills since then. I was prescribed the 2 because my cycle will go on for weeks & my blood level was low. I went to the E.R. last month because of dizziness & weakness but my blood level was fine. I have been off the pill for 11 days now with a regular cycle (finally) is there a pissibility of me getting pregnant? Hi I’ve been trying to get pregnant for almost 5 years now and there is no progress. I’ve all the proper testing done to see if I had a problem. I was diagnosed with unexplained infertility. I have been told that my iron was low for several years. I went to the doctor today for my blood work results and my doctor told me that my iron level was very low and that he wanted me to take iron supplements. I was wondering if that could be the reason for my “unexplained infertility.” Any information or advice you have for me will be greatly appreciated. We like Blood Builder for iron supplementation. This is because it is 100% whole food and it is non-constipating, unlike iron supplements most doctors suggest. Blood Builder contains vitamin C for proper iron absorption. This is a fertility friendly product, for preconception, pregnancy and lactation. I been suffering from low iron now im anemic for some time now.. i have tried every food that i could eat with high iron,even at one point just ate alot foods that had high iron only and still iron is low, my doctor even put me on birth control stop slow down my monthy cause it was so heavy and i was loosing a lot of blood which wasnt good due to me already having low blood.. i want to have a baby and im so scared that that’s not going to happen being that i am the age of 39 and dealing with being anemic. what should i do? There is more to anemia than just iron consumption. There are many factors that contribute to iron absorption in the body. Having healthy digestion and gut flora as well as co-nutrients (vitamin C, b6, b12) as well as the general health of your blood. There are some herbs such as ashwagandha and dong quai that help to build the blood and deal with anemia, also drinking green juice daily (fresh juiced) may also be helpful. I recently found out that im anemic,and i have been trying to fall pregnant for 7 months but there is no like, will i ever fall pregnant again and im streesing now. If you can build your iron stores back up through proper diet including iron rich foods. Dark leafy green vegetables are a good source of iron, as is organic free range red meat. Red Raspberry leaf is high in iron and other important vitamins and minerals. You may also benefit from taking a whole food iron supplement. Do not give up hope, once you restore proper iron levels you should go on to carrying a healthy baby in your arms! Blackstrap molasses is especially high in iron and full of minerals! I m 29 and been anemic since i was a child, this days I have been feeling tired often and painful chest, and dizzy most of the times with headechs. the doctor has not yet discovered the course ,I m afraid as still single may not be able to get pregnant when ready. I have been looking for this information for a while and I m now glad I read this article thank you. infact i found your guidlines very useful there’s no day i don’t like reading from you. Hi, i think i am also anemic because i do have the symptoms you mentioned earlier. Is it safe for vitamins C, B12, folic, and iron be taken at one time? Those supplements have all been found to be safe to use together. Vit. C helps the absorption of iron. Thank you for such an important article. I’d like to share my experience. Towards the end of last year I experienced a lot of dizziness. This was especially a problem when I went to the gym and had to climb a lot of stairs. I also had a problem at the begining of my period – if I went to the steam room at the gym at this time I would actually feel so faint I could not get up. At the begining of this year I was determined to figure it out so I went to my GP who did some blood tests. However he said these came back normal. I was embarking on a fertility journey in all seriousness this year so I also went to a homeopath. He put my blood under a mircroscope and noticed something interesting. My blood cells centre was white in colour. He identified anemia and put me on chelated iron tablets plus loads of other vitamins and his own meds. I also later went onto B12. I just find it interesting that the GP did not pick it up but the homeopath, using a different method, did. And I really had a difference, especially once I went for acupunture and he put a needle in my liver meridian in my foot. Hurt like hell but it really helped my anemia. I also ate liver every Sunday. I can honestly say I think that I beat the problem of anemia and now I know what to do if it comes up again. I went for a IUI procedure in July (after 6 months of diet, vitamins etc) which did not work but I will do this again at some stage. Now thanks to your article I can see the other implications for fertility, which I actually did not know about. Another useful piece of information I picked up from Sarah Holland’s fertility conference from Marilyn Glanville was crucial: do not take your iron tablets with your other vitamins! They absorb the other vitamins and thus deplete the effectiveness of the other vitamins. She says take them separately with Vitamin C. What I landed up doing is taking most of my vitamins in the morning and then in the evening taking iron and Vitamin C mixed up in my rooibos tea. Thanks so much for sharing your story, we greatly appreciate it. What about if are taking a prenatal vitamins? Do you still need this iron suplement because I’m taking acupuncture since May and prenatal vit. and have a hard time getting pregnant. You can get your iron levels tested by your doctor, that way you would know if you may need to supplement iron in your diet. Some women even though they are already taking a prenatal vitamin still may need an additional iron supplement if their tested hemocrit levels are low. Thanks for all the informations you’ve been sending me,i have Anenmia,irregular menstruation,and i am 35 years old ,i don’t really know if the items i ordered was the right herbs for me,Though am yet to receive them.i didn’t order blood builder,am on Tardeferon which my doctor presribe for me,after six years of marriage still not pregnant,Anyway i just bought fertility cleanse kit,vitex,dong quai,L-Arguinine,spirulina,evening primrose,i can’t remember the other items right now,Please Hethir if there’s anyother herbs that you think i should also buy to improve my fertility,don’t hesistate to help me,thanks. All of those look good, without knowing more about you it is hard to say for sure if those may be best for your unique situation. Please let your doctor know you are taking these supplements. Thanks for your support.